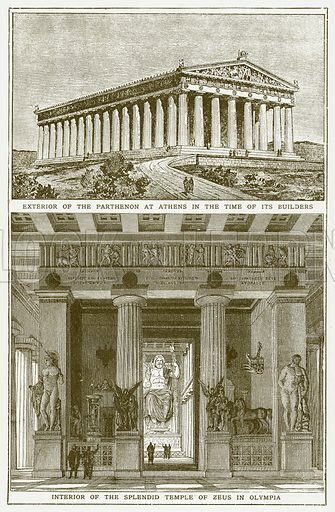 Exterior of the Parthenon at Athens in the Time of its Builders. Interior of the Splendid Temple of Zeus in Olympia. Illustration for Harmsworth History of the World (1907). Available worldwide for immediate download up to 3,251 x 4,976 pixels.